Please Note: Children must be accompanied by an adult at this event. This is going to be good….really good ! 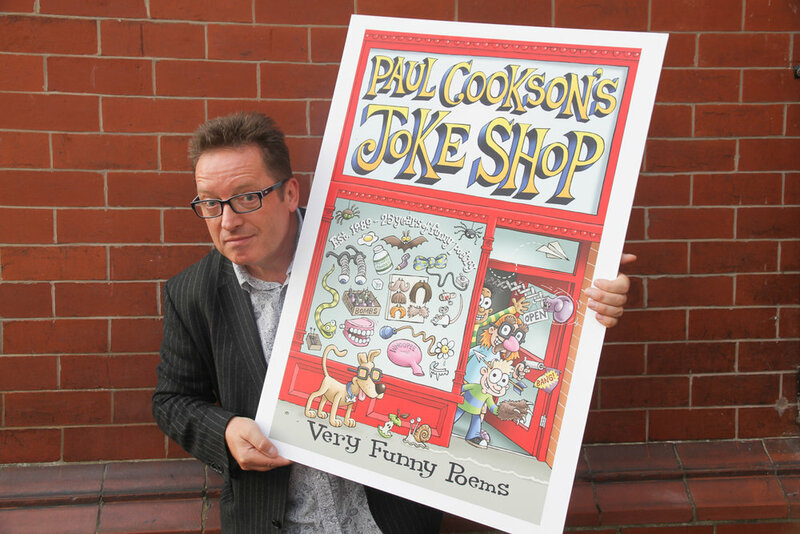 Paul Cookson has sold over one million books, worked with thousands of schools, played at festivals galore and rip-roariously entertained folks of all ages with his laugh out loud poetry antics for over 30 years. Tonight Paul presents his 100 mile an hour family-friendly audience participatory “Joke Shop Poetry Show” - with added ukuleles. Getting involved is non negotiable and anything could and probably will happen. Bring your family and settle in for a cracking time. It’ll be like pantomime but with better rhymes! As a poet and performer Paul has worked with such luminaries as Henry Normal, Lemn Sissay, Roger McGough and Ian McMillan. He counts amongst his titles being Slade’s ‘poet laureate’ and is currently the Poet in Residence for The National Football Museum - perhaps he’ll compose a lament for our local football teams!